FinCEN’s final rule, “Customer Due Diligence Requirements for Financial Institutions,” became effective May 11, 2018. Identify impacted lines of business. Update your Enterprise Risk Assessment and Customer Risk Assessment policies, such as your Customer Risk Rating Policy, Customer Acceptance Policy, Onboarding Policy and AML Risk Appetite Statement. Implement any third-party solutions that can be used across these processes. Update your policies and procedures. Make sure you have a robust training plan and train your frontline and compliance employees. How can LexisNexis Risk Solutions help? 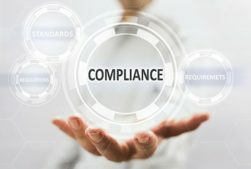 As the march toward compliance with FinCEN’s Final Rule on Customer Due Diligence moves along, insurance carriers have many decisions to make and several preparations to get underway. LexisNexis® Risk Solutions can help evaluate your current position on the new requirements for determining and verifying beneficial ownership and chart a course forward that keeps the customer experience and core business operations at the forefront. We can help identify areas that need attention and assist in designing an identity verification strategy that seamlessly integrates into your customer onboarding workflows. Reach out to your LexisNexis® representative to discuss how we can help.